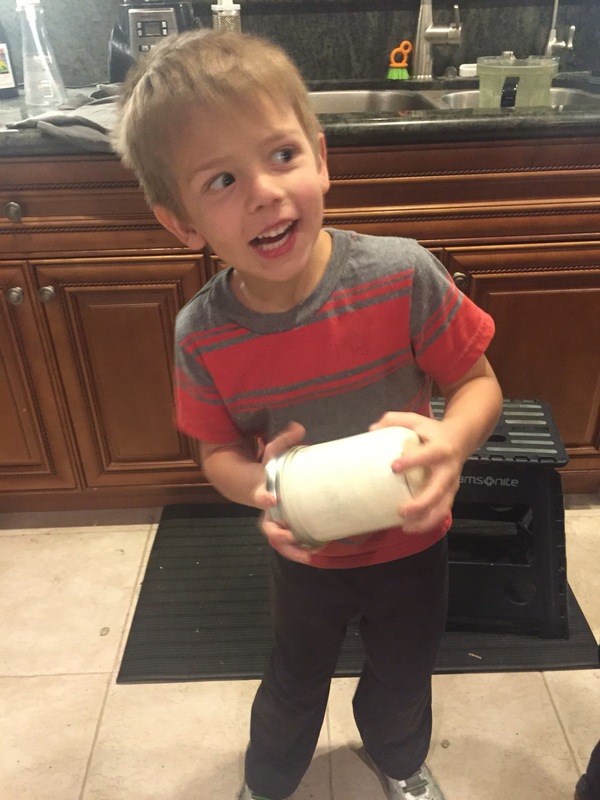 Last night I had some girlfriends over and I decided that I wanted to make butter with the kids! Science in action andan opportunity to have them contribute to the dinner! This super easy activity will give your kiddos a chance to see how something they use every day is made and the end result is TO DIE FOR. Step 1. 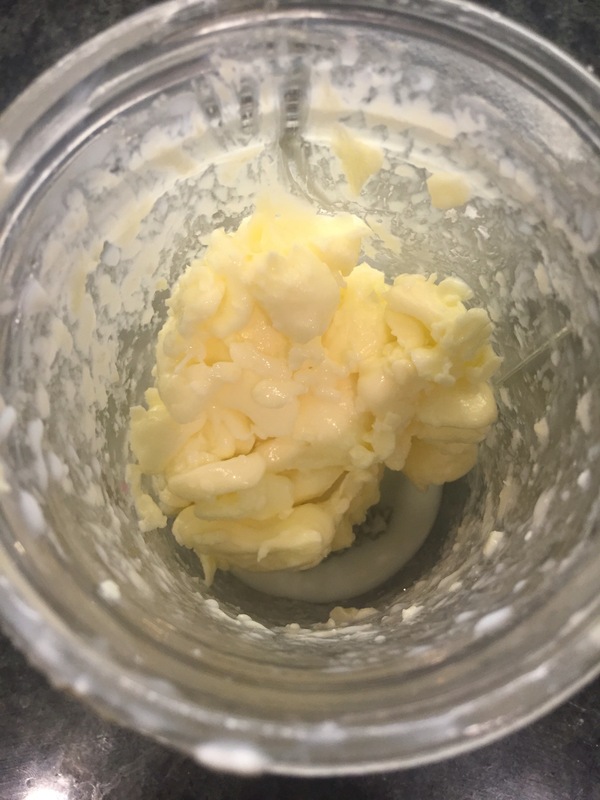 Fill a mason jar half way with heavy cream. For salted butter a pinch or two will do. Step 2. Shake. Shake. Shake. Step 3. Shake some more! Step 4. The cream will stop sloshing around. 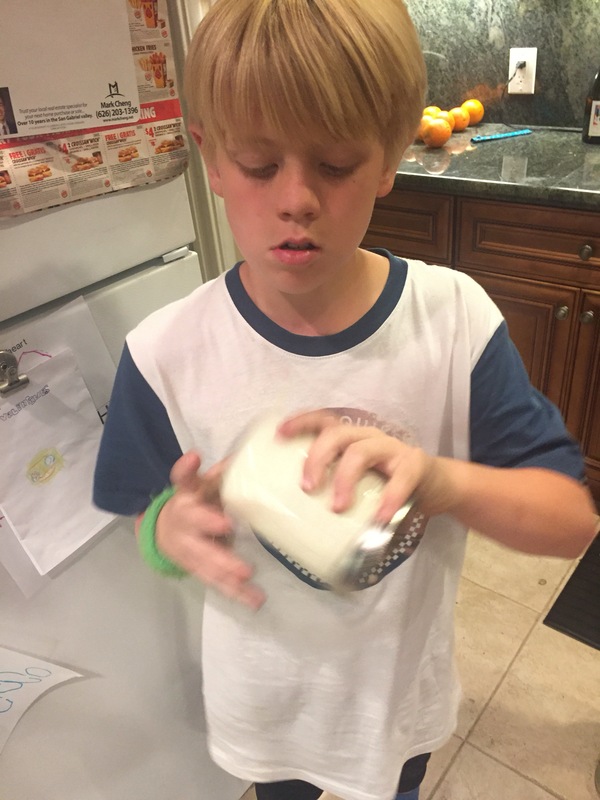 Open the jar and show the kids that it has turned to whipped cream! Step 5. Place the lid back on and keep shaking! Shake it like a Polaroid picture! Soon there will be liquid in the jar again. That’s the buttermilk! Shake until you have butter. 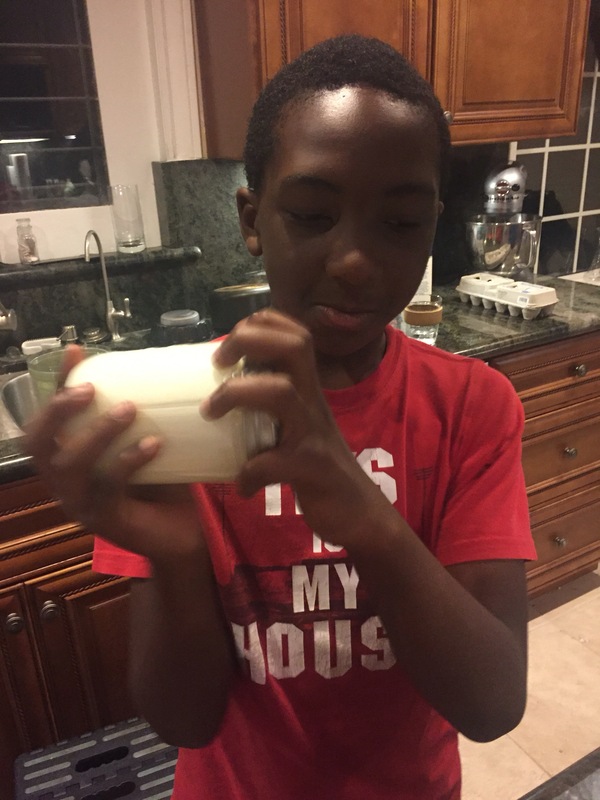 Once the butter is ready, you will easily be able to pour off the buttermilk. Be sure to save it for use in baking or marinade!